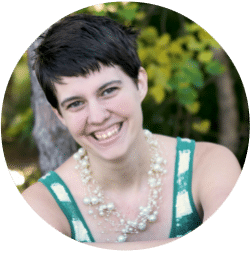 With the big kid years, come all sorts of challenges and changes that I had never thought about before! Our days of toddler tantrums may be over, but now we’re arguing over what time everyone should go to bed and having some serious talks about personal hygiene and one’s own responsibility to take care of hygiene! I must say, I never really thought about these little stages but while they are challenging, I am absolutely LOVING life with kids who are growing up to be really awesome little humans. This Summer we’re learning all sorts of new skills, like how to wash dishes by hand, how to vacuum properly and another big one… how to take a shower. I have to say, I never assumed shower taking was much of an undertaking, you just go shower, right? It’s complex and requires lots of explaining and details for a seven year old boy who seems to think as long as all of him gets wet at 25 second shower is perfectly acceptable. 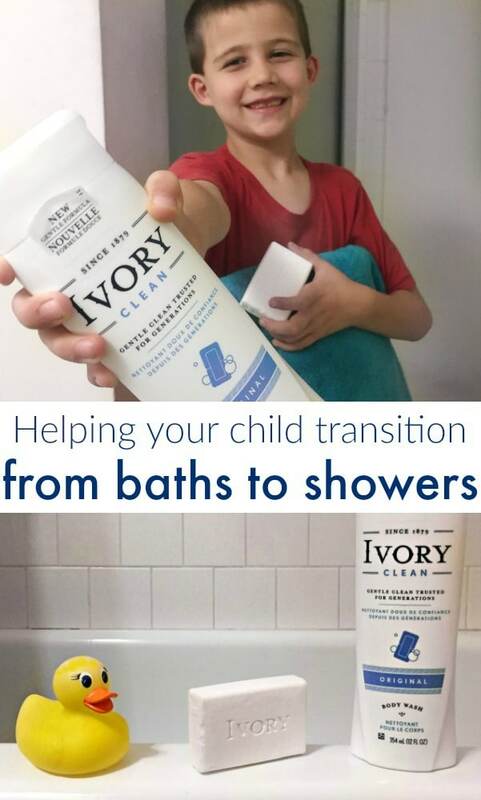 Today, I’m partnering with Ivory Soap to share some tips for helping your big kids make the transition from baths to showers. All of this starts with a conversation. Sure, the 7 year old decided on his own that he wanted to try showers, but like most things, he was convinced that he already knew all there was to know about showering. I’ve found that if I want my oldest to listen, it’s easiest to start by asking him questions. After we established that he perhaps had a bit to learn on the topic, we were able to get down to business. Since up to this point, the kid’s bubble bath had doubled as soap, I realized it was time to move on to “big kid” soaps. 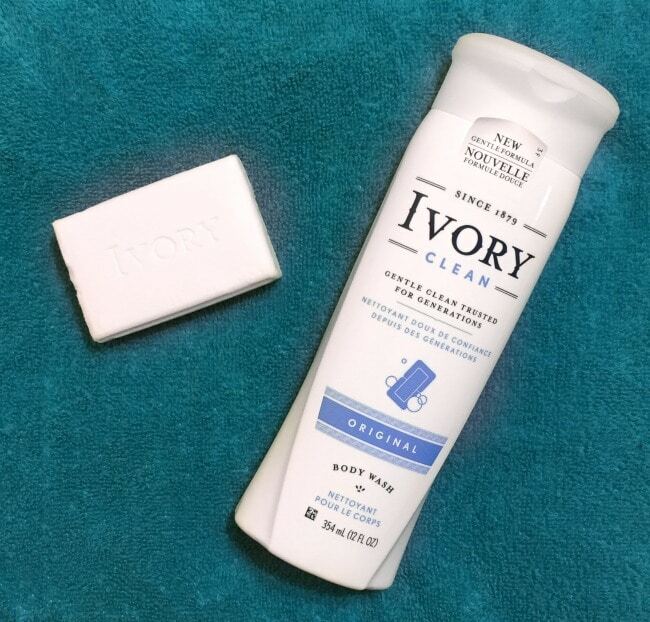 Ivory is pure and gentle and the obvious choice when it comes to keeping the family clean. Half of our family struggles with skin sensitivities so it makes sense for the other half of us to join them in using the gentler, softer soaps. 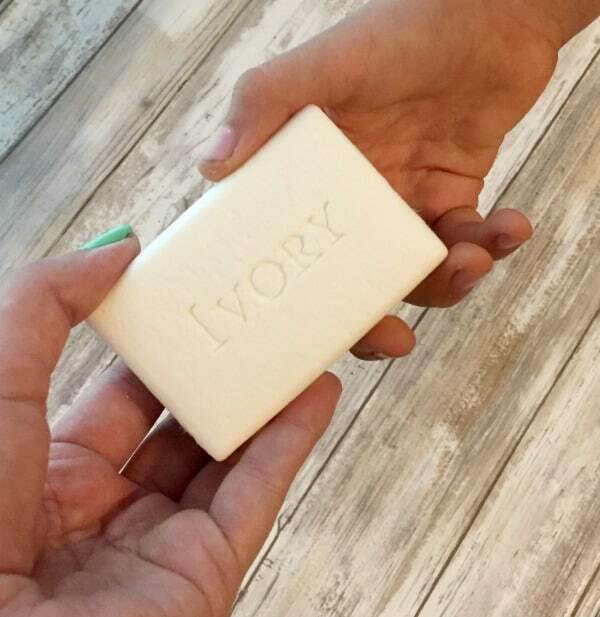 I love the way Ivory soap smells and how it feels on my skin too. No harshness, just soft, silky smooth! 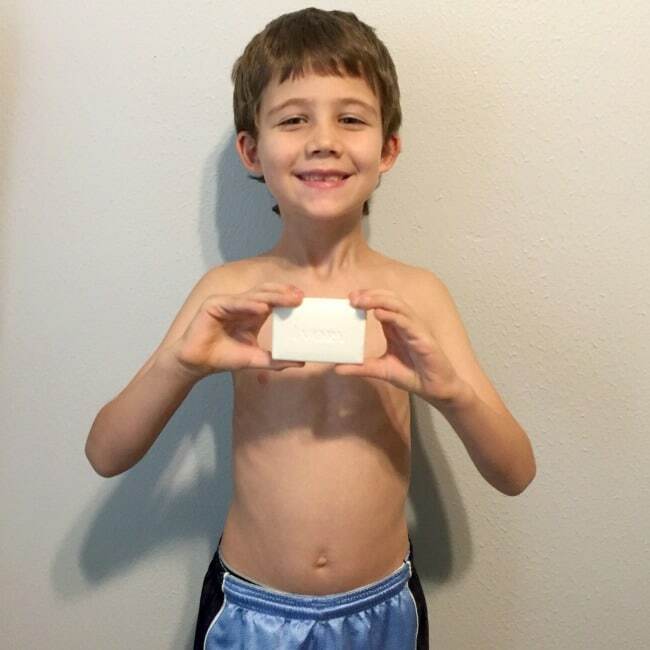 With my oldest starting out in showers for the first time, I figured body wash might be a good place for him to start, so we’re giving him the option of bar soap or body wash. He loves getting to make decisions for himself, and often likes to try something new instead of repeating the same thing over and over. So the more soap options we can give him to choose from, the BETTER. After showing him how both worked, he felt confident that the soap situation was close enough to what he had been used to using in the bath that he was ready to move on to the trickier parts of how to shower. After discussing the basics of how the shower works, you’ll want to spend some time focusing in on the rinsing process. I’ll admit I didn’t cover this one in detail the first time around, because IT SEEMS SO OBVIOUS. But after having to send a very irritated little boy back into the shower when he was 100% convinced he was finished, I now know better. We decided “rinse longer than you think you should and then count to 20” is a good rule of thumb for the little ones who aren’t quite familiar enough with rinsing their own bodies and especially hair. “Make sure you rub the water into your hair and body” was another good one that helped him get a better idea of what we were going for. For the first week or so, my son knew to come straight to me to make sure I agreed that he was, in fact, done with his shower. A few times a quick run of my fingers through his hair would reveal more soap suds than I could count. Back to the shower a very stubborn boy would go, but eventually he got it figured out. It’s important to check their hair for leftover soap or shampoo though, because leaving it on the scalp until the next shower or bath can cause irritations on their skin. Oops! We’re now several weeks into my son’s showering career, but I’m still determined to double check that shower curtain placement every single time. He usually asks for my assistance with getting the water temperature *just right* anyway, so it’s a good time for me to personally make sure water is not going to flood the kid’s bathroom. A little extra work to prevent a minor flood is totally worth it. The kids are bound to forget this little step, so make sure you don’t! It’s normal for kids who have decided to try showering to switch back to baths for a bit and then back to showers a few times before being full time in the shower. Which method they choose isn’t as important as encouraging them to start being a little more independent with their own hygiene and making sure they are in fact washing themselves each time they take a shower or bath. We aimed to be encouraging in whatever choices were made, be it shower or bath and keep everything around showering a positive experience. In fact, we made it so positive that the 5 year old wants to try her hand at it as well. I can’t say I’m ready to take that step with her just yet, but we’re getting there and I’m sure I’ll have to remind myself of all these steps when she is indeed ready to take that leap. 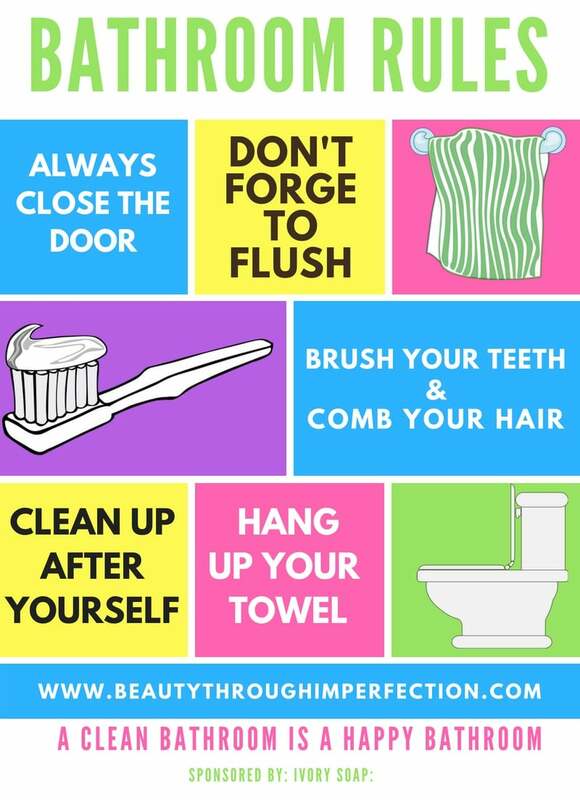 In celebration of this new milestone, I created this fun Bathroom Rules printable. The kids have always had a bright yellow bathroom, but I wanted to add some more colors to make it seem even more fun and exciting! Until next time, good luck with this transition from bath to showering! It’s a huge milestone and a big step forward into independence for kids! Hey Buddy!, I found this information for you: "how to help your child transition from bath to shower". 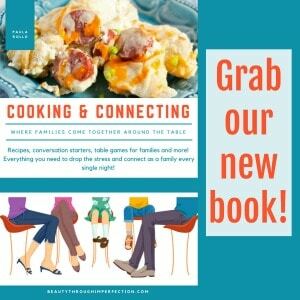 Here is the website link: https://www.beautythroughimperfection.com/how-to-help-your-child-transition-from-bath-to-shower/. Thank you.